With the growing number of LED fixtures available to the hobbyists, selecting one to purchase can be a difficult decision and one that needs careful consideration. Below are a few items you should be aware of when shopping for a LED lighting system. Make sure the fixture will emit enough intensity for the types of animals you plan on keeping. Depth of tank is especially important as there are not too many LED fixtures that are capable of providing sufficient PAR at depths over24 inches. SPS corals and the more attractive clams will require high intensity lighting. The spectral quality of the LED fixture is equally as important as intensity. High intensity (PAR) is not much benefit if the wavelength is not tuned for the coral’s needs. Yellow and green wavelengths encourage nuisance algae growth, lower PUR value, and of are no benefit to corals. DO NOT purchase a LED fixture without looking at a spectrograph of that particular unit. If none is available, cross that fixture off your list. A spectral range similar to the one shown below would be ideal. Look for a nice calming shimmer effect and not a rapid flicker that some LED fixtures exhibit. CRI (Color Rendering Index) is also important. Look for at least 80 CRI and above. Fish and corals should look natural and the sand bed should appear whitish and not have any unnatural tint to it. Look for color “hot spots” where one color is more pronounced than others in a given area. This can indicate poor lens quality which inhibits diffusion of light. Multi-chip LEDs are generally the best at spreading individual colors evenly. Pendants with excellent optics also fair very well in this regard. Look for fixtures with a high white LED Kelvin temperature. A 7,000K fixture is not much better than a 7,000K metal halide/HQI lamp. Efficiency; Look for a high total lumens per watt fixture not just the white LED lumens per watt to ensure you are getting the most light per watt. Bargain fixtures generally have a low lumens per watt rating. Choose a manufacturer who is constantly developing new technology, not one who rebrands fixtures with standard industry LED components. 10. Choose a fixture where the manufacturer provides upgrades such as drivers and emitters which allow you to have the latest technology without needing to purchase a new fixture. 11. Aesthetics and mounting options are important. Choose a fixture that allows you to mount it for your specific application. 12. Avoid feature rich LED fixtures such as those having the ability to change intensity of colored LEDs or other disco like gimmickry. You will soon learn that you have paid for features you will not care to use. The above should help you immensely in choosing a LED fixture to fit your needs. 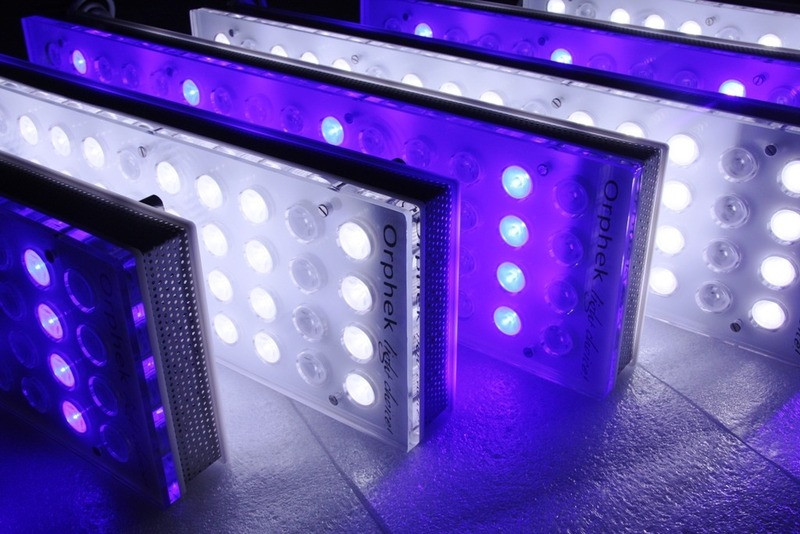 Or you can save time and money by just buying an Orphek LED lighting fixture as all Orphek products meet or exceed all of the above goals or requirements.